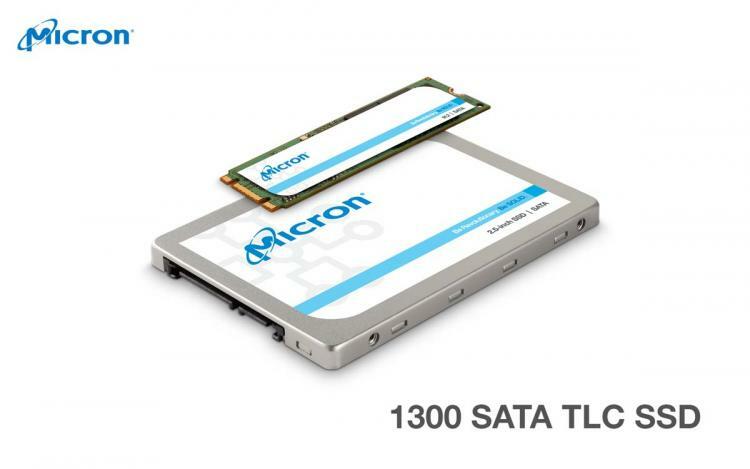 Micron Technology presents the Micron 1300 cost-efficient solid-state drive for personal computing devices. The Micron 1300 Series SSD is the brand’s first client SSD to utilize the 96-layer TLC 3D NAND flash memory. The Micron 1300 SSD aims to power notebooks, desktops, and workstation PCs with fast and efficient data storage with excellent thermal management, low power consumption for improved battery life, and device-level security. 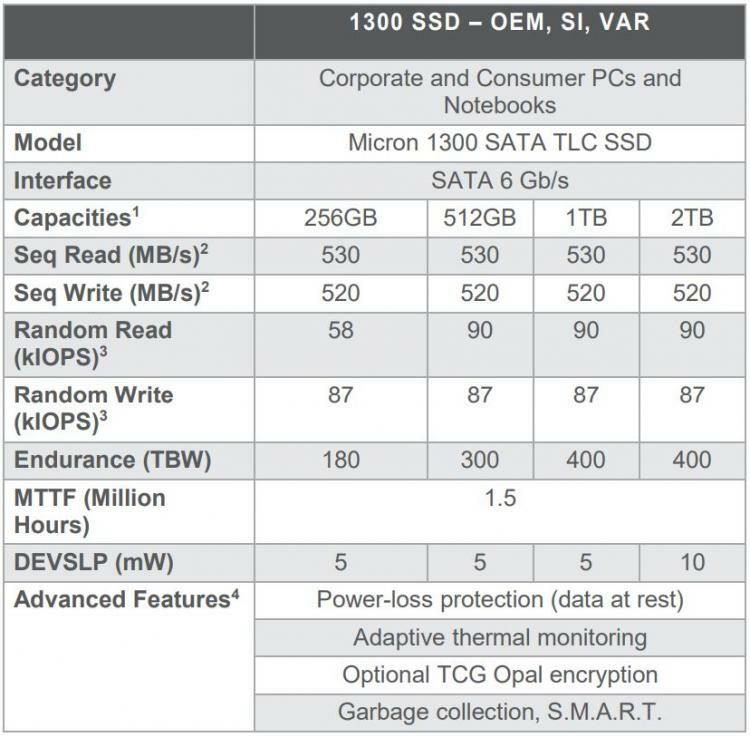 The Micron 1300 SATA SSDs are designed to close the price gap and make it the alternative cost-efficient data storage solution for traditional hard disk drives. The Micron 1300 SSD with its 96-layer triple-level cell (TLC) 3D NAND flash memory offers higher capacities of up to 1TB for the M.2 2280 form factor and up to 2TB for the 2.5-inch form factor. The Micron 1300 SSD offers speeds of up to 530MB/s sequential read and up to 520MB/s sequential write with random IOPS of 90K/87K read/write. The Micron 1300 SSD Series is also designed to be power efficient using only 75mW of power. The Micron 1300 SSD also supports Microsoft Windows 10 Modern Standby requirements which include near-instant transmission to low-power mode upon Standby Mode and adaptive thermal management. This promotes better battery life for mobile computing devices and increased productivity. The Micron 1300 SSD also offers important features to protect valuable data such as asynchronous power-loss protection for data at rest and optional Opal 2.0 self-encryption. Learn more about the Micron 1300 SSD for client computing here.